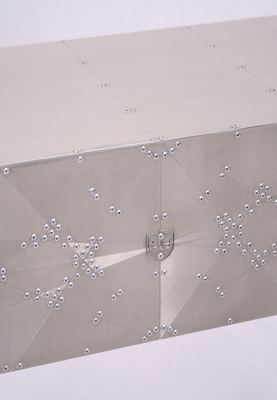 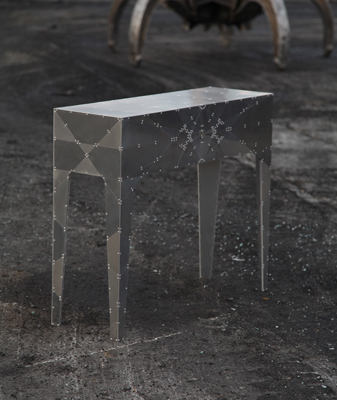 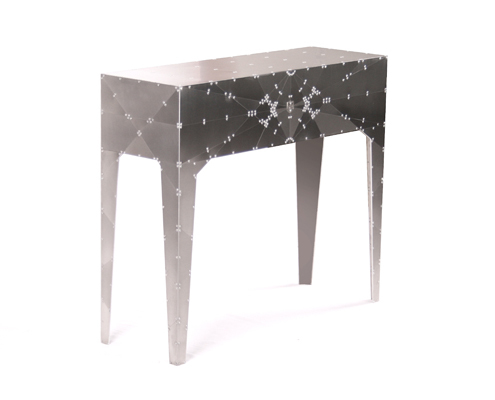 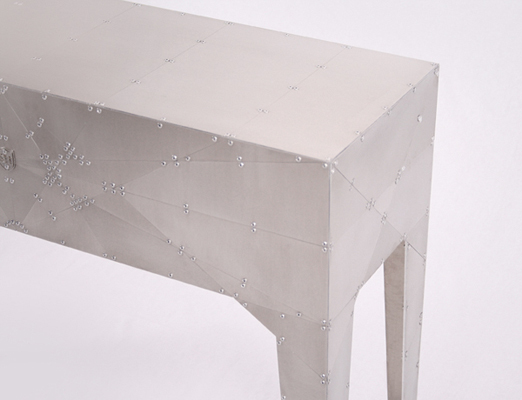 Telly is composed of laser-cut aluminum pieces all connected together by rivets. 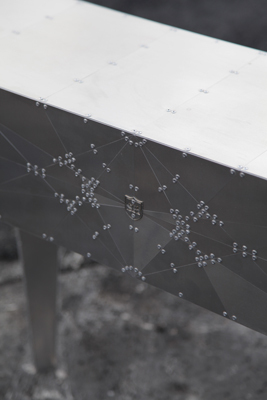 The idea behind it was too create a very flat but sophisticated surface. 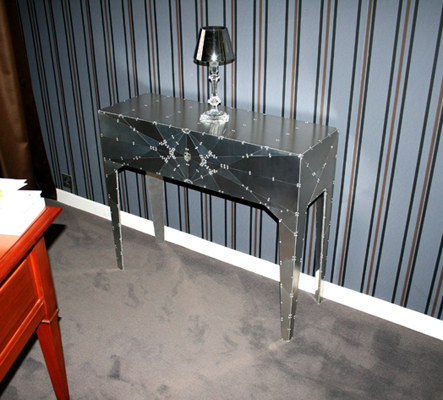 For us, this a kind of modern marquetry that disappear in modern furniture.